What are some things that we fear? This is a question that I recently posed to my Run for God class and I received many answers. Just a few were death, the unknown, flying, drowning, and so on. Did you know many studies show that the number one fear in America is public speaking? I can absolutely relate to that one! Fear is something that almost all of us can relate to. Some choose to call it other things like anxiety or stress, but at the end of the day it’s most always fear. Recently while preparing for a study, I came across a question that really got my attention. Would you consider fear a sin? Strange question right? On the surface, you would think that the simple answer is no. There is a gentleman by the name Tom Elliff who visits our church every few years to speak. When I read this question, I immediately thought back to a quote Tom made that I had written down in my Bible. His quote was “Stress equals Selfishness”. Tom’s point was that anytime we are stressing over something, we are in effect saying that what ever we are stressing over is too big for God. We feel it is something that we can’t turn over to God and that we must take it on our self. So back to the original question, is fear a sin? Absolutely! 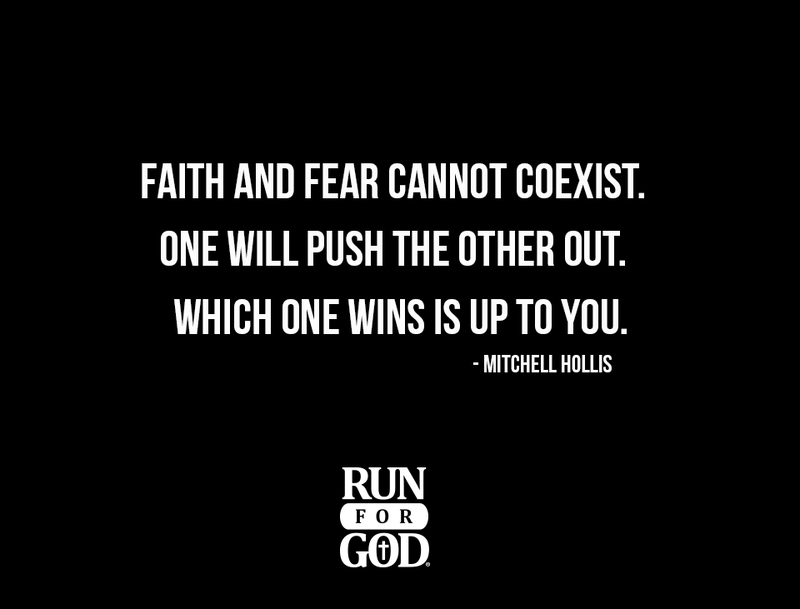 The Bible says in 2 Timothy 1:7 “For God has not given us a spirit of fear, but of power and of love and of sound mind.” You may be saying to yourself, “Mitchell, that doesn’t say that fear is a sin.” You would be correct, but we must consider the source! The Bible does say that God did not give us a spirit of fear. So if God does not give us that spirit then who does? There are only two possible answers here. Either “the devil” or “I don’t know”. In either case, it would be wrong for us to accept the spirit of fear. If from the devil, then the reason is obvious. And if you don’t know, then the reason should also be obvious. Do you remember when you were a child and your parents told you not to take candy from strangers? They told you this because they didn’t know the source, and when you allow things in your life from which you do not know the source, bad things can happen. The Bible illustrates this principle clearly here, and we see it in our everyday life. In order for fear to set in, faith is pushed out. But the opposite is also true. When faith takes over, fear is pushed out. Jesus calls us to live by faith (2 Corinthians 5:7) and the choice to do so is ours. So we’ve determined that fear is not, I repeat, is not given to us by God. We’ve established the fact that faith and fear cannot coexist. And we’ve also seen where the Bible plainly says that whatever is not from faith is sin. So fear must be a sin. Faith is the cornerstone of our salvation, and anything that we do that is done out of fear instead of faith is unacceptable to God. It is for this reason that you must know the reason that you came to know Christ. When you came to know Christ, did you do it out of faith and a sincere desire to follow Him, or did you do it because you didn’t want to go to hell? Coming to know Christ out of fear is not true salvation, it’s when you come to Him in sincere faith and brokenness over your sin that you’ll truly know salvation. Fear is something we all struggle with, and it’s a sin we can all pray about. Let’s all make the decision to push fear out and let faith take control.